Promote your company with this trade show stand attraction. It has great impact for such a small unit, colourful (choice of colours) and charming as so can the promotional staff be! Who can dress to co-ordinated to your colour theme. This product is inexpensive to make, yet makes people feel so happy and valued. If you would like potential customers as well as existing clients to notice your trade show stand ? 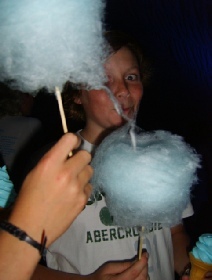 Then try this trade stand attraction of cotton candy floss services, It’s worth considering. 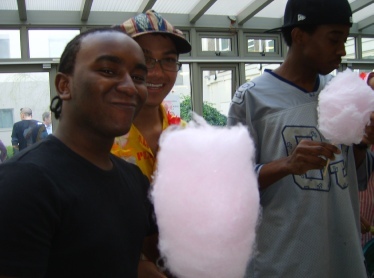 Candy floss promotion services may be a great trade stand attraction for you! Alexandra Palace, Business Design Centre, Legoland, ExCeL, Bournemouth International Centre, Donington Exhibition Centre, Donington Park, Earls Court, Epsom Downs Racecourse, G-Mex Centre, Hilton Brighton Metropole Hotel, The Beaumont Estate, Grovefield House Hotel, Royal Windsor Racecourse, Olympia, National Exhibition Centre, The O2 Arena, Manchester Central Convention Complex, Novotel London West, Old Billingsgate, Queen Elizabeth II Conference Centre, The Brighton Centre, Ricoh Arena, Sandown Park Exhibition and Conference Centre, Telford International Centre, The Royal Armouries Museum, Stoneleigh Park, Cardiff International Arena, Ascot Racecourse.